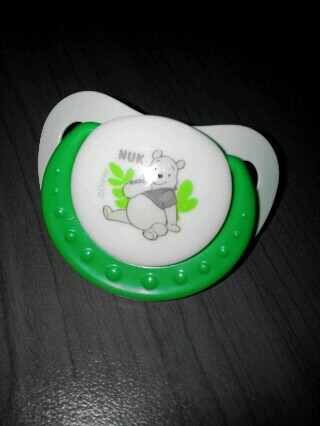 Finally, my youngest baby has started to wean off from his pacifier. I have been contemplating when to let him stop sucking on his pacifier...1 year old? 2 years old? or 3 years old? I remembered YS weaned off at around 3 years plus & YQ weaned off at around 1 year plus. Fortunately, he was getting quite alright with the "no pacifier" moments. Initially he will grab the pacifier if it is within his sights. As I tried to hide it away from him, he will just chew on his hanky & the whole hanky will be so smelly & wet with full of his saliva. Now he is adjusting well & surprisingly he is not asking me for it anymore, we only need to change his hanky more often than usual that's all.